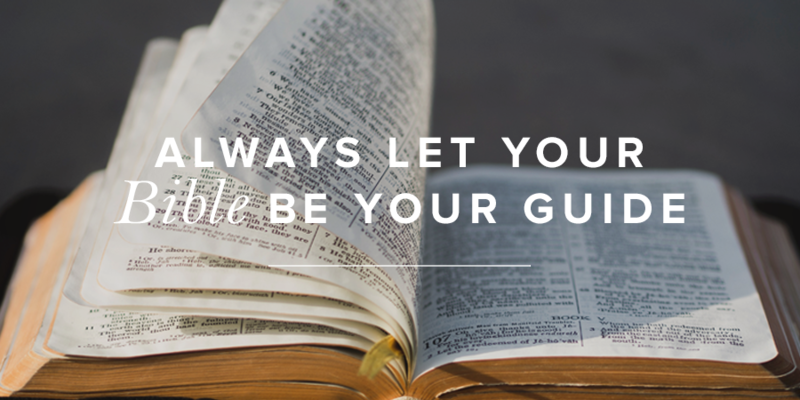 Always Let Your Bible Be Your Guide | This Thing Called Life . . .
Posted on December 6, 2018 by Anna Popescu •	This entry was posted in Christian growth, God, God's Word, Revive Our Hearts, True Woman Blog, Truth and tagged Bible, Christian growth, conscience, deeper meaning, God, Jesus Christ. Bookmark the permalink.